Life’s Entropy is where beauty meets science. 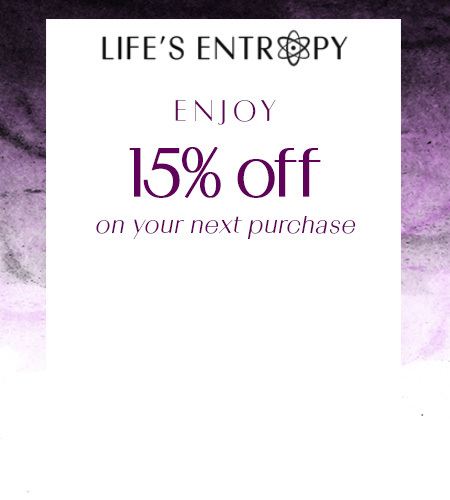 Established in 2015 by a couple of nerdy scientists fresh out of college, Life’s Entropy is the first ever science themed cosmetic line with a mission to inspire creativity and scientific exploration in a colorful, vibrant way. We offer a vast range of innovative products that are produced in small batches by a team of in-house scientists to provide a premium experience at an affordable price. As scientists, we carefully selected each ingredient in each of our products to deliver high performance and wear without sacrificing ethics. Our entire line of science themed products is Vegan, Gluten Free, Animal-Cruelty Free, Paraben-free, Phthalate-free, and is safe to use for those with nut allergies. Our innovative science themed line strives to bring out the love of science in all of us, both colorfully and ethically. Thank you for checking us out!